Well located near London's Paddington Station and with parking available, St John's is the ideal venue for your conference or corporate event. The building is located in the heart of a quiet residential area of the Hyde Park Estate thus offering a space with very little, if any, noticeable external noise intrusion. The main building has over 400 square meters of flexible floor space which can be arranged for dance, theatre in the round, performing arts, banquets or exhibitions. There are over 200 chairs which can be used in cabaret or banquet configurations. In theatre style, there is space to seat up to 643 guests. The side aisles are ideal for displays or serving food or drink. To enquire ring St John's or to book or get a quote ring +44 333 241 3022 or visit St Johns Community Bookings. Comfortably seats up to 200 for dinner. 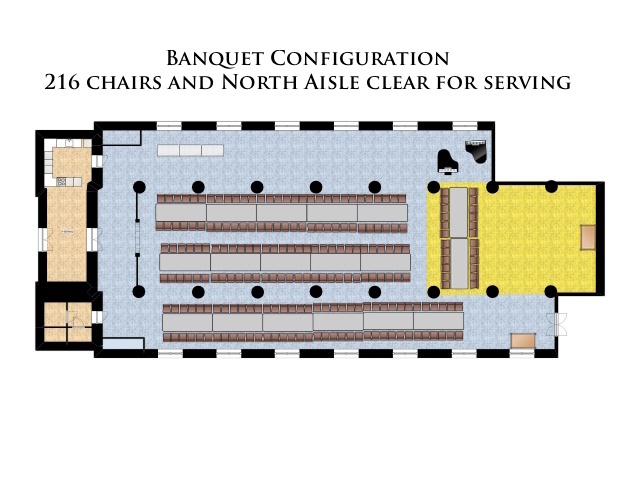 Chairs can be cleared away to create space for a standing reception for over 600 people. The side aisles create the perfect space for canapés and drinks to be served. 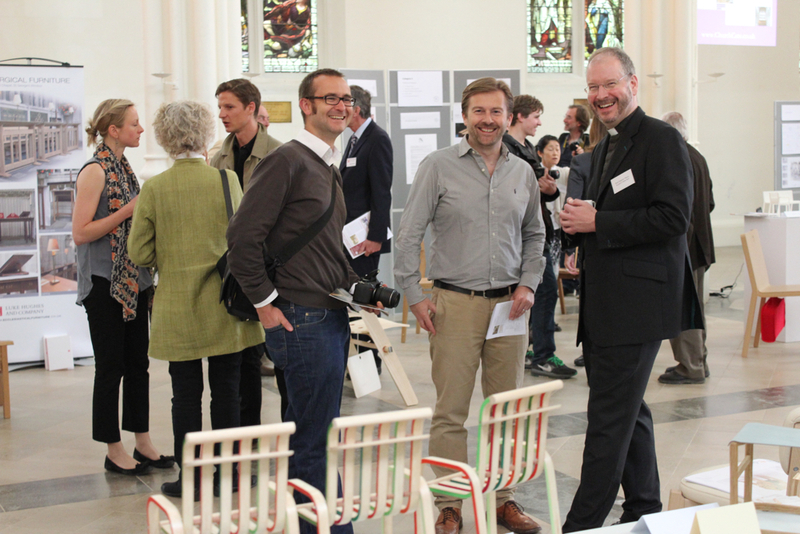 St John's has whatever you need for your next reception or for exhibitions to be displayed by sponsors and participants. Large windows down the length of the church on both sides provide plenty of natural light. Adjustable electrical lighting exists along with numerous power outlets throughout and the building has a modern under floor heating system. Modern and well maintained toilets are situated to the rear of the main church. 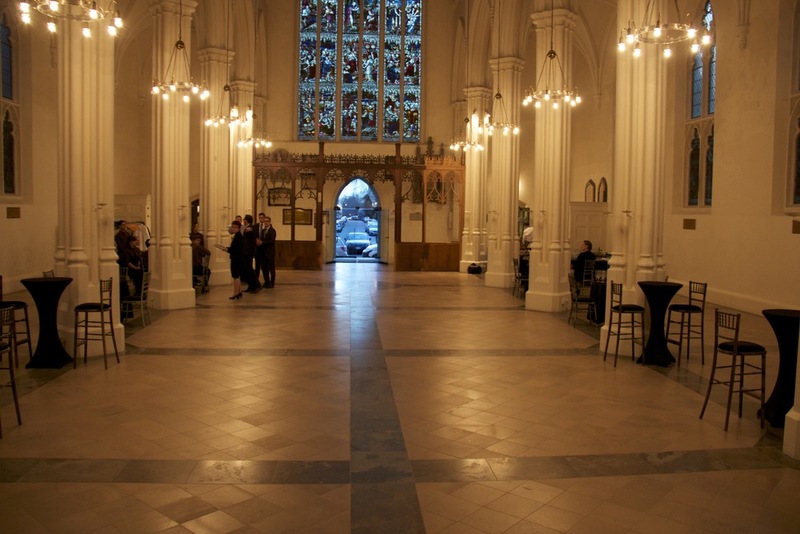 St John’s main church building offers a unique auditorium space in the centre of London ideal for concert performances for all types of music, dance and theatre. There are 400 square meters of completely flexible space, high ceiling height (up to 18m in the central aisle), solid stone floor in a very well maintained and internally modern church. With space for up to 643 seats in theatre layout and 200 comfortable chairs able to be laid out in a variety of ways, the space is ideal for your performance. There is a fixed raised stage area of 100 square meters but this can be incorporated into a larger performance area for the uses of a full symphony orchestra and other similar size ensembles. St John’s is in the heart of the quiet residential area of the Hyde Park Estate thus offering a space with very little, if any, noticeable external noise intrusion. There is a Yamaha C7 concert grand piano and a second grand piano, both available by prior arrangement. There is also a fully restored (2015) Hill, 3 manual, tracker action organ (1867), again available by prior arrangement. It is also possible to hire the parish hall as a green room for performers. 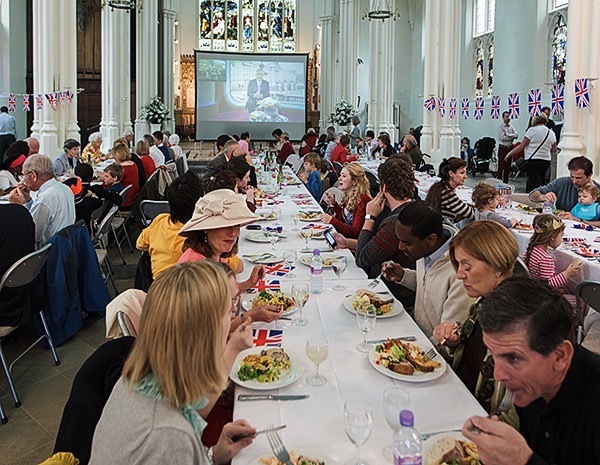 Only a short distance from the Royal Albert Hall and Wigmore Hall and with the possibility to book parking immediately in front of the building, St John's is the ideal place for rehearsals of large or small orchestras or choirs. Up to 250 chairs are available and there is a kitchen which can be provided for preparing coffee and tea. The fully refurbished Hill, 3 manual, pipe organ and Yamaha C7 piano are available by prior arrangement. The parish hall has up to 80 square meters of floor space. The space is well lit and has adjacent kitchen and toilets. The room can be divided in two as required. The hall has separate access from outside or, if part of a booking of the main building, direct access between the two can be provided.